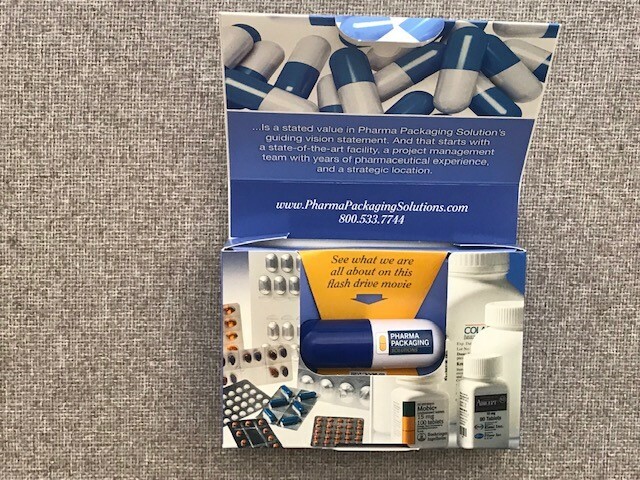 Printing Impressions magazine, producer of the annual Gold Ink Awards, announced that Carton Service has won a Silver award for their entry, titled Pharma Packaging Solutions Movie Mailer Wallet Blister Card in the Packaging, Multimedia category. All winners can be found at http://www.GoldInk.com/winners-revealed. This year’s Gold Ink Award winners were chosen among nearly 600 entries submitted within 49 different categories. Winning pieces were chosen based on print quality, technical difficulty and overall visual effect. 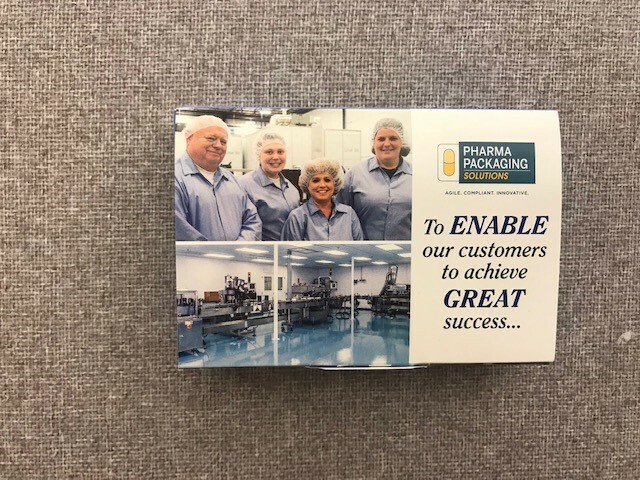 Carton Service is especially pleased with the award since it produced the piece for its affiliate company Pharma Packaging Solutions. It was designed to showcase PPS’s blister wallet card capabilities and more and it contains, on a thumb drive shaped like a pill, a movie on PPS’s overall capabilities. The piece is mailed regularly to prospects.